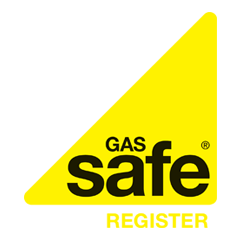 OFTEC, the Oil Firing Technical Association, has urged homeowners to have their homes checked for carbon monoxide whilst having an annual boiler service carried out. The issue was raised last month following the death of two teenagers last month who died from a suspected Carbon Monoxide leak in a holiday apartment in Castlerock, Northern Ireland. OFTEC, the leading trade body for competent oil boiler technicians, is now advising customers to have their oil appliances checked and oil boilers serviced before they start to use them more heavily over the winter months. David Blevings, OFTEC Ireland’s Manager, said: “All fossil fuelled appliances produce Carbon Monoxide and if installed and serviced correctly should not pose any threat. “It makes common sense to have your appliance checked and serviced annually by a competent person to make sure it is running safely and efficiently. “In addition, the installation of a CO monitor can provide total peace of mind – these are available to consumers from the OFTEC Direct website at www.oftecdirect.com or by phone at 0845-6585080. “Consumers tend to forget about their boilers until the cold weather kicks in during autumn, but OFTEC felt a strong message about CO safety is needed. “It is important that people use a qualified installer to service their boiler as unqualified work can potentially cause fault. OFTEC has over 9,500 registered business and technician members throughout the UK and Ireland who have been assessed to ensure they have the skills to carry out safe, effective installation and servicing work.